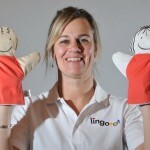 North Hampshire Lingotot Centre | French and Spanish classes for kids. MFL PPA cover. Hi , I'm Stephanie and I have been a language teacher for 18 years. Early years language learning is so important and I look forward to enthusing your little one with a lifelong love of different languages and cultures! We learn through songs and stories and your child should be able to respond to their new language after their first lesson! I look forward to meeting you and your child soon. Children love to learn new languages and respond really well to them. So if you are looking for your kids to learn Spanish or French and there is not a class listed that works for you, please get in touch and I will see what I can do for you. I look forward to meeting you and your child soon!